Collaborative banking platform 2gether has announced its European expansion after a successful beta launch in its home country of Spain, Jane Connolly reports. The company’s prepaid Visa debit card allows users to instantly spend crypto anywhere, anytime, as easily as they would pay with euros. 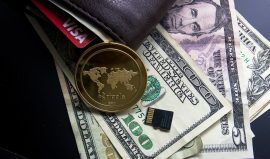 With the aim of making crypto a common day-to-day currency, the firm aims to circumvent the long process currently required to spend crypto, without charging a fee. 2gether customers can pay in euros or convert one of seven cryptocurrencies to pay with the Visa card: ETH, BTC, XPR, BCH, EOS, XLM and LTC. Users can also hold and manage euro and crypto balances in the same app and buy and sell crypto in two clicks with no mark-ups to exchange prices. EU citizens need to download the app and pass the KYC process in order to join the waiting list to start using 2gether. On 27 March, 2gether will undergo a token pre-sale of the 2GT as a Virtual Financial Asset under the ticker 2GT. All EU citizens will be able to participate in the pre-sale of €5 million and experience all the services featured on the app. For a comprehensive list of the landscape of challenger banks in Spain, check out this link!